this is great information for my work - where can i find country by country texting rates? Michelle: "where can i find country by country texting rates?" SMS is the king of mobile messaging. 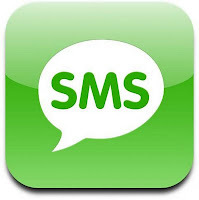 • Portio Research (January 2011): 6.9 SMS trillion messages were sent in 2010. SMS traffic is expected to break 8 trillion in 2011. • 249 billion MMS were sent, in 2010. • 480.6 million users of mobile email in 2010, expected to quadruple by 2015. • 311.2 million users of mobile instant messaging (IM) in 2010, expected to grow to 1.6 trillion by 2015. • Portio says: “Messaging is still king. We want to be absolutely clear about this. Messaging still dominates [mobile operators’] non-voice revenues worldwide”. Worldwide mobile messaging market will be worth over US$200 billion in 2011 (SMS is $127 billion of this), reaching $334.7 billion by 2015. • Juniper Research (May 2011): By 2016, application-to-person (A2P) messaging will overtake person-to-person (texting) messaging, being worth more than US$70bn. • A2P messaging includes messages to or from an application to or from a large number of customers in financial services, advertising, marketing, business administration, ticketing, television voting etc. Arfa's short life mirrors Pakistan's burgeoning engagement with information technology, an industry which holds out hope for youth embittered by unemployment and a lack of opportunities. Her father, Col Amjad Karim, says she was particularly concerned to use her skills to help the young, those under-served by IT and those from villages. "It is generally understood that computers are for very hi-fi people or rich schools but nowadays one can be purchased for a few thousand rupees by the poorest of poorest," he told the BBC. "Arfa's centre of gravity was wanting to improve human resource development by focusing on education." Col Karim retired from the army to be his daughter's manager. He says her mother and two younger brothers are in shock after her death. Arfa had been in intensive care in a Lahore hospital since late December. Senior politicians joined relatives at her funeral in the city on Sunday - she has already had a technology park named after her in Lahore. Her loss is also being felt by Pakistan's IT world. Shoaib Malik, country manager for games company Mindstorm, said: "It's really sad. What was amazing about her was that she had a clear vision, she literally wanted to set up the industry. "One thinks only kids who have studied from abroad would have a vision but it was remarkable. I think whatever God does, does for the better but had she been alive she could have played an important role in the IT industry." Mindstorm is one of a number of small Pakistani start-ups tapping into the global IT boom - a side to the country often overlooked amid bombings, natural disasters and never-ending political crisis. The company, set up by self-taught techies, developed a game which ended being selected as the ICC World Cup 2011 official game, Cricket Power. According to Pakistan Software Houses Association president Jehan Ara, Arfa was "intelligent beyond her years". "In addition to achieving a professional certification at the tender age of nine, it is also notable that she set up and ran a computer training institute for a poor community. "Her passion for technology, coupled with her vision to use her talent to do something significant for Pakistan and its people, was truly amazing for someone so young." Ms Ara feels the IT industry offers a way out of unemployment for young Pakistanis, many of whom she says are starting their own companies. One Karachi firm is even developing software for the stock exchange in the UK. Around 1996 - the year when Arfa was born - the IT industry really took off in Pakistan, according to Shakir Hussain, CEO of software company Creative Chaos. As the millennium approached, the fear of a mass technical apocalypse also motivated people to pay more attention to IT ventures. "Suddenly there were hiring and migration opportunities for software engineers," he recalls. But techies in Pakistan had been putting their creative minds to work even earlier than that, with far-reaching and destructive results. In 1986, two brothers from Lahore created the world's first computer virus, "Brain". They insist the virus was friendly and not intended to damage information, but it still ricocheted through the tech world and was developed by others, spawning viruses used to exploit operating systems. That, however, is not what Pakistan's IT industry wants to be known for. Shakir Hussain thinks it offers bright young people a good chance to earn a few thousand dollars working from home through various websites. "The internet has been a great leveller," he says.